Who Needs Sage One? Let's find out! Who Needs Sage One? Let’s find out! Well, Sage One is directed at small business owners. But what does that actually mean? And how can you decide if this is the product that you really need? Read on to find out if this is really the product for you and your business. 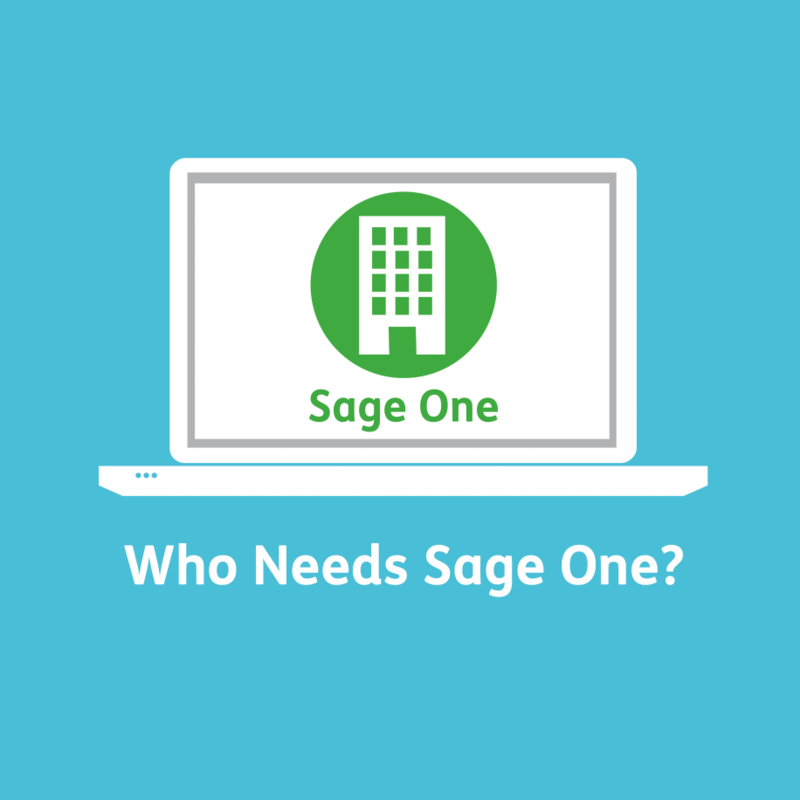 Sage One offers three different products, Cashbook, Accounting and Payroll. Let’s have a look at what each of these offer and who they are targeted at. Ideal for businesses who do cash-based accounting, allowing you to keep track of all coming in and going out of your business. Ideal for sole traders who want to keep on top of their cash. Perfect for start-ups and small businesses, offering several key features from creating quotes and invoices to preparing VAT returns. You can even connect to your bank with Sage One’s automatic bank feeds, allowing you to always have access to your most up to date financial position. An intuitive online payroll system for businesses with up to 15 employees. If you just need a simple way of ensuring your employees are paid correctly and on time, whilst ensuring that you keep up to date with the latest legislation, then look no further. Sage One offers an intuitive platform for you to keep on top of your finances, giving you access to your data anywhere with an internet connection. The ability to keep a chart of accounts, produce professional looking invoices with your own logo and even forecast for the future come with this handy cloud based accounting solution. Accounting can often go over your head if you have little to no experience with it, there’s nothing worse than sitting down with your accountant as he reels off a list of words and phrases you’ve never heard of before. But what if you could actually look at your data, in an easy to understand format. Your businesses finances are incredibly important, they are what keep you trading, so don’t back away from all the scary figures and jargon! Imagine being able to sit down with your accountant and have access to all your invoices, payments, debtors and creditors at the click of a button. No more rummaging through stacks of paper trying to find a transaction, it’s all here for you in one easy to navigate environment. Invoicing is vitally important to all businesses, it provides you and you accountant all the necessary information needed to produce reports, VAT Returns and keep up to date with how your business is getting on financially. Sage One ensures that your invoice contains all this and more, all from one simple to use page. Your total is calculated for you, your invoice is saved against an account for future reference, and you can even send your customer or supplier a professional looking invoice! Keeping track of your products couldn’t be easier, simply enter the details such as the unit price, name and quantity. These can then be easily added via a drop down menu on all your purchases and order, saving you time which can be spent on more important things. You can always ensure that you have enough products of a particular product in stock, ensuring that you don’t miss out on any potential sales. You can connect your bank account to sage one, allowing for automatic bank statement data. Cut down on mundane processing tasks by 90% and ensure that your figures are always up to date. When you make a sale or purchase stock, your balance in Sage One will automatically update, making sure you know exactly how much cash your business has. Sage One offers a wide variety of reports, from Profit and Loss accounts to Cash Flows. Reporting allows you to keep a close eye on how your business is currently doing, ensuring that you make the correct decisions on reliable data. The big companies always have up to date reports, so why can’t you? All of the reports in Sage One are held in an easy to navigate page, and can be quickly viewed from your browser or app, and can even be printed off. Accounting is time consuming, and when you’re a small business, it’s time that you so often do not have. But it is also vitally important, from VAT Returns to collecting debts, accountancy is the backbone of any successful business. Sage One offers you an easy to use, intuitive way to keep on top of all those numbers, for a tiny monthly subscription fee. Home » Sage Blog » All Sage Blog Posts » Who Needs Sage One? Let’s find out!